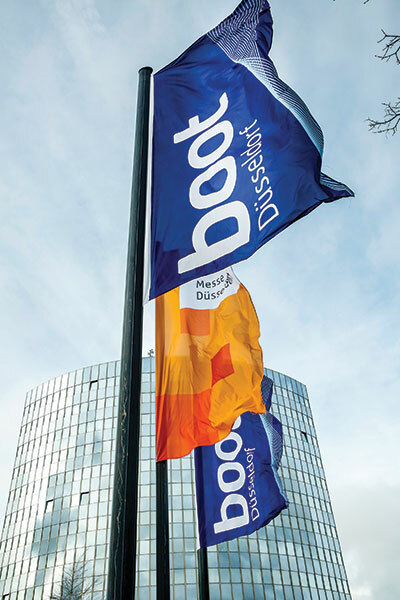 Every January, the rest of the world focuses on Düsseldorf in Germany and its eponymous boat show "boot Düsseldorf". It’s not the biggest show and it’s not so much the boats on display but the awarding of Europe’s choice of its best boats, both power and sail, that garner the most attention – the brands, the innovations, and those that will inevitably find their way to all corners of the globe. 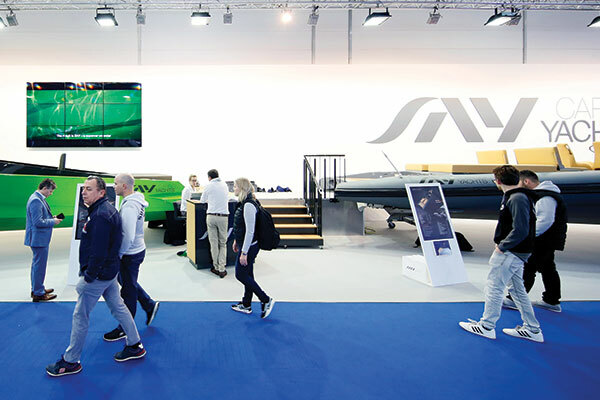 The two prestigious awards – "European Yacht of the Year 2018" and "European Powerboat of the Year 2018" – were announced at the show’s Flagship Night, the industry get-together organised by Delius Klasing Verlag and boot Düsseldorf on the first weekend of the trade fair. Publisher Konrad Delius and show director Petros Michelidakis welcomed some 500 guests from the international watersports community to the maritime gala this year. Described by organisers as the "Watersports Oscars", the best of power and sail boats in Europe are presented in 10 different categories, the European Yacht of the Year for the 15th time, while the European Powerboat of the Year was in its 12th edition. A jury consisting of test managers and editors-in-chief from the 12 leading European sailing magazines and nine European motorboat magazines decided who receives the prestigious prizes. According to award officials, some 70 new yachts come onto the market every year in Europe, but only five shipyards have the privilege of winning the title European Yacht of the Year 2018. The first tests took the jury members from the 12 sailing magazines from Norway, Sweden, Great Britain, the Netherlands, France, Denmark, Austria, Switzerland, Italy, Spain, Germany and – a recent addition – Finland to the marina in La Rochelle, France, in mid-September. The second round followed in October off Port Ginesta, south of Barcelona, Spain. All 15 candidates were tested and analysed intensively in this context. In total, the trade journalists sailed almost 2000 nautical miles on the nominated yachts. All the decisions are taken by a majority vote of the jury members; a nationality rule makes sure that the jury members do not give an unfair advantage to candidates from their own country, we’re told. The choice of the yacht of the year always reflects the development of the market as a whole, where the current trends are, on the one hand, towards increasingly large yachts and, on the other hand, to more and more individual and special designs. The Amel 50 came out on top in the Luxury Cruiser category. The modern long-distance passagemaker impressed the jury with its protected cockpit, plenty of space for sunbathing, very safe operation and every imaginable comfort. It also has a lavishly built and exceptionally tastefully designed interior. 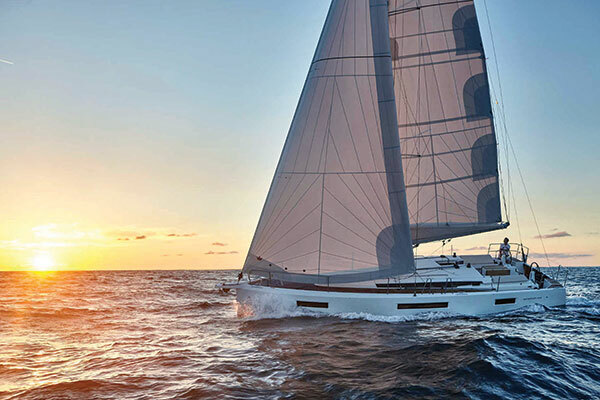 The coveted award went to the Neel 51 in the Multihulls category. This trimaran is a lightweight structure and is very different from most of the catamaran cruisers on the market. The jury was enthusiastic about the very good way the boat handled while sailing during the tests, as well as about the large volume of the three hulls. It has up to 10 cabins in addition to an imposing 10m² owner’s cabin on the main deck, providing spectacular views of the ocean. 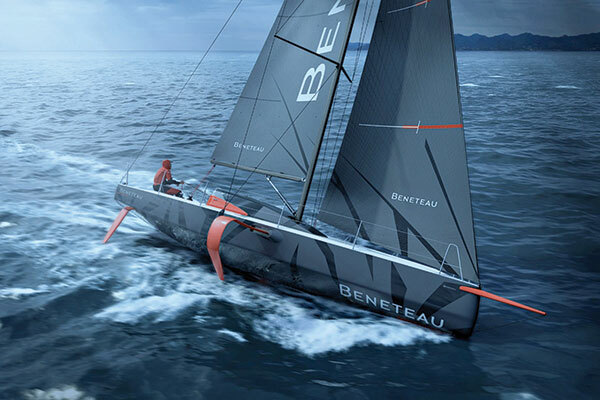 The Beneteau Figaro 3 took first place in the Special Yachts category. The new model from the popular French yard is considered to be the first hydrofoil yacht production-built on a large scale and said to sail up to 25 per cent faster than comparable boats. An interesting feature of the Figaro 3 is the innovative design with foils that slope downwards and can be retracted and extended at deck level. The yacht is described as "amazingly simple to sail fast". The presentation ceremony for the European Powerboat of the Year 2018 awards for motorboats was just as exciting, organisers said. The jury here consists of the editors-in-chief and testers from nine European motorboat media organisations from Norway, Italy (2), France, the Netherlands, Spain, Switzerland, Austria and Germany. This jury started off by nominating the five most interesting new models per category at the Cannes Yachting Festival last September. More than 200 new models appear on the motorboat market every year. There are five length categories here: up to 25 feet, 25 to 35 feet, 35 to 45 feet, 45 feet and above, and a Displacement category with no length specification. 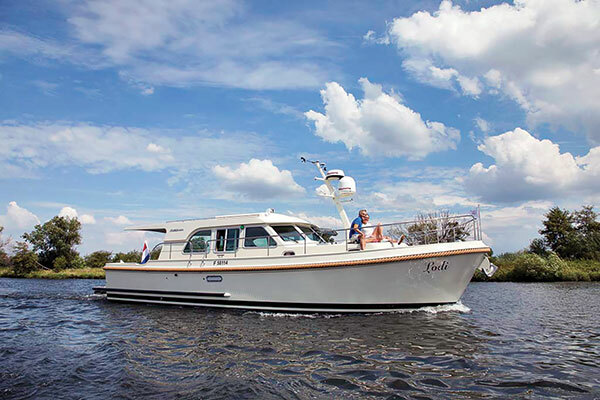 Apart from the standard quality characteristics of a boat – such as workmanship or performance – the layout, the overall concept and value for money also play a crucial role in the jury’s assessment and decision-making process. It is frequently the case too that innovative, unusual ideas lead in the end to an award that delights the shipyard concerned. Five fascinating concepts competed with each other in the category of small boats up to 25ft, with the Bella 620 Cabin victorious. 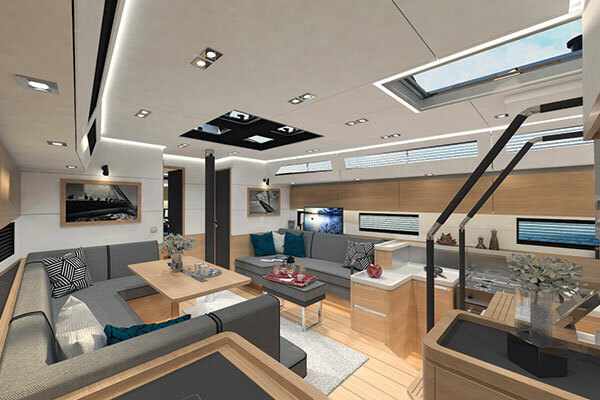 The reasons given by the jury were: "The Bella 620 cabin was helped by a new design, in which the focus is on practical use of the boat. It has everything that can be expected of a boat in this category. The effective deck layout also makes sure that there is a maximum of safety when moving around on the boat." Boats in the 25 to 35ft category need primarily to combine practicality with good workmanship and safe handling in all waters. The Apreamare Gozzo 33 received the prize in this category. 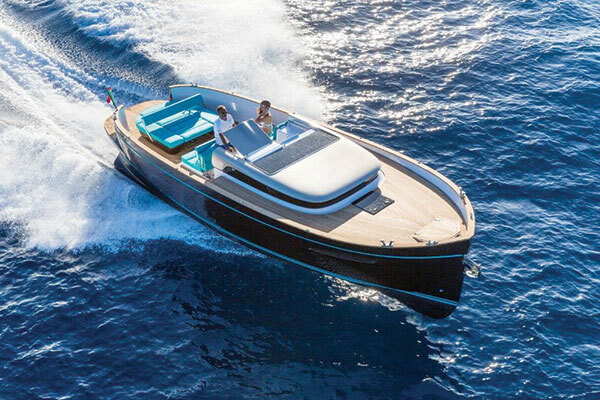 The jury’s opinion about it: "Classic lines coupled with modern functionality – that is what the Apreamare Gozzo 33 has to offer. In spite of the flat lines of the boat, Apreamare has succeeded in creating comfortable living space for up to four people. The Gozzo 33 moves fast and safely at a top speed of 31kts as well." 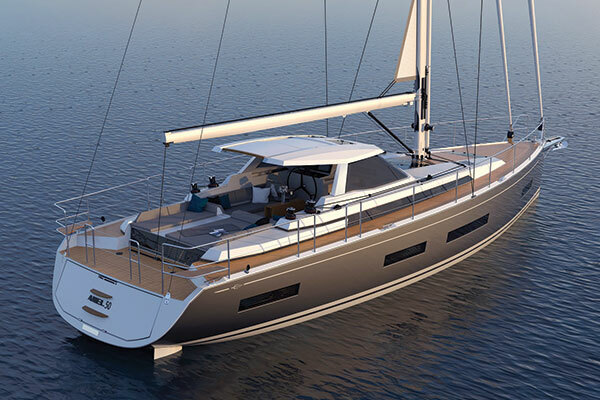 The Fountaine Pajot MY 44 proved to be the most convincing model in the 35 to 45ft category. 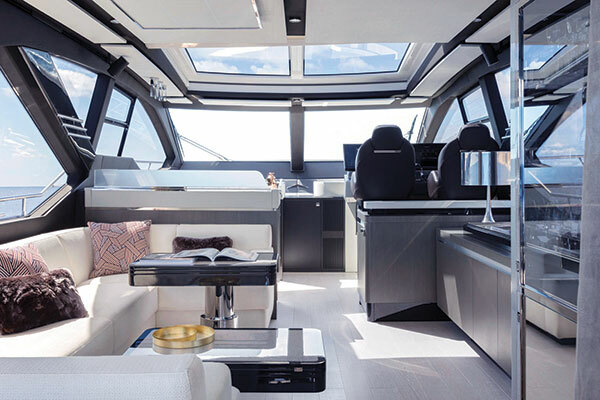 With it, the shipyard has created a fast power catamaran specially designed to meet the requirements of motorboat enthusiasts. 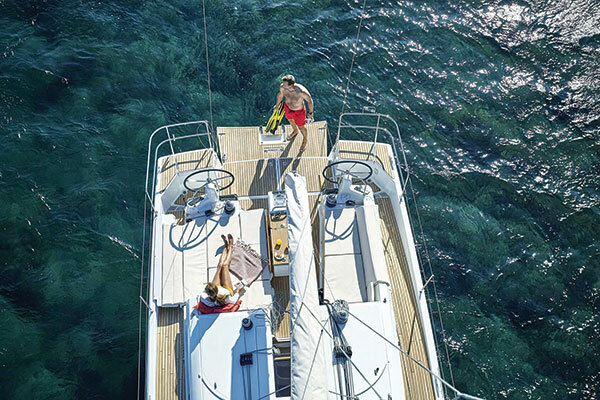 In addition to plenty of space – with up to eight cabins – the MY 44 has a long range, handles well and boasts a top speed of up to 25kts. 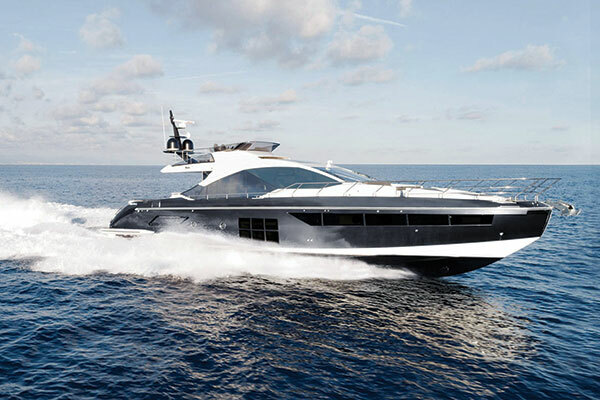 In the 45ft and above category, the jury chose the Azimut S7, and with it, carbon infusion entering series boat production. The jury’s assessment: "The new structure makes the S7 considerably lighter than its rivals, while the centre of gravity moves deeper inside the boat. The consequences are lower fuel consumption and reliable performance. The innovative Auto Balance System guarantees optimum weight distribution on the move too, which also increases the boat’s safety performance." In the Displacement category, the European Powerboat of the Year 2018 Award went to the Linssen Grand Sturdy 40.0 Sedan. The experts were unanimous: "A modern interior coupled with the virtues of classic steel boat construction are its outstanding features. In the final analysis, it is the combination of all the many little practical details that distinguishes what is known as the ‘Dot Zero Series’ from its predecessors. With a range of up to 500 nautical miles, safe and reliable performance and excellent workmanship, the GS 40.0 is the epitome of a comfortable powerboat." The Seamaster Award was also presented at the Flagship Night too, honouring an athlete for his or her special achievements in water sports. In 2018, the prize goes to the outstanding French sailor François Gabart. In December last year, the 34-year-old set a new world record for the fastest single-handed circumnavigation of the world aboard the 30m MACIF trimaran. Gabart cut as many as six days off the previous record – a time he thought impossible. In his case, the clock stopped after 42 days, 16 hours, 40 minutes and 35 seconds.